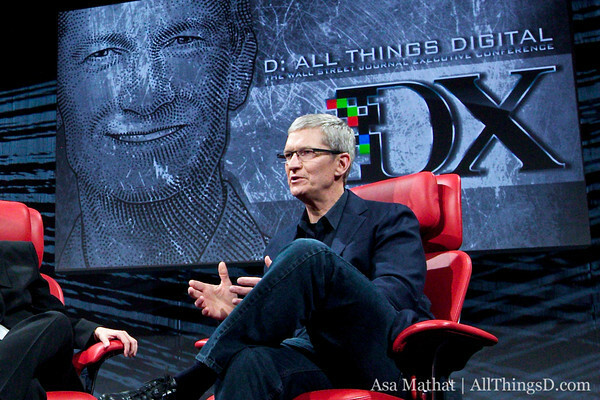 As promised, we will begin the posting of all the videos from the 10th D: All Things Digital conference today, starting out with the opening night speaker: Apple CEO Tim Cook. Aside from a few short interviews and an investor conference, Cook’s session with Walt Mossberg and me was his first extended public talk as the newish leader of perhaps the most important and definitely most influential company in tech. So, getting to see Cook in action is probably the most important part of this interview. While clearly playing it close to the vest, he ranged over a wide number of topics, from secrecy at Apple (it’s now apparently been doubled!) to the iPhone to controversies in China to a possibly more social partnership with Facebook to more television efforts to, of course, the legacy of Apple’s co-founder Steve Jobs, who died last year. Cook will be onstage again later today at Apple’s Worldwide Developers Conference in San Francisco — which the crack AllThingsD team will be covering — where he will be unveiling product updates and perhaps more in a keynote speech at 10 am PT.